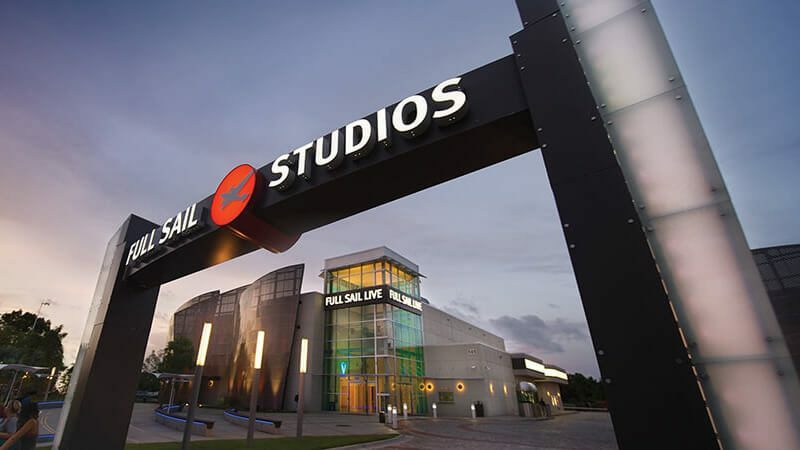 Check out FullSail.edu to learn more about Full Sail University's Digital Arts & Design degree. Here's an interesting theory: In the coming years, people are going to get tired of absorbing all of the information on the tiny screens and tablets in front of them. Instead, they're going to start seeking out larger, more immersive, interactive, and visually appealing experiences, and these new ideas of experience design will become the norm. Think about the current buzz over Google Glass, an eyeglass-mounted computing device that uses a small prism screen to put the Internet in the user's line of vision, and you'll realize the shift in how users want their information has already begun. Full Sail Digital Arts & Design graduate Dylan Roscover is banking on this belief with the launch last year of The Experiential Company, a Los Angeles-based design studio that merges illustration, animation, and interactive elements into projection-based designs. At the moment, these designs are commonly found projected on buildings at music festivals, art galleries, and parties. "When you're looking at a screen that is three inches wide, it's stressful and it's very anti-social," says Dylan. "We want to design experiences that get people to live healthier, to stand upright and dance, and experience graphics in a more human way." The technology is already out there: it was announced last year that Microsoft is developing projection technology that can turn an entire room into a 3D game environment. Volkswagen's team used 3D projection mapping technology to launch the 2015 Golf 7 at the New York International Auto Show earlier this month. But the change now is toward more art and design, which is what The Experiential Company hopes to find themselves on the forefront of. Dylan – who made a name for himself creating typography-based prints (including an image of Barack Obama that made the cover of Time magazine) – still dedicates a lot of his time to standard client work like designing websites, apps, and animations, but his Research & Development time is dedicated to larger, more immersive projection design experiences. The Experiential Company's first leap into projection design is Journees, a digital art installation and large-scale projection created by Dylan and his business partner last year. After traveling to Europe and taking more than 16,000 photos ("the idea of the project was to showcase how fast-paced and intense travel is," says Dylan), they were edited into a stunning audiovisual montage that is best viewed projected on a large wall. Dylan and his team spent more than 2,000 hours of time between commercial projects to color-grade and edit the digital photos and create more than 52,000 individual frames in Adobe After Effects. They worked with a projection technology team and used an advanced projection workflow to produce 11,500 by 3,500 pixel images that are best viewed on a 4K projector. They premiered the film at a loft in downtown Los Angeles. “The achievement of Journees for me was the experience," says Dylan. "I really learned so much, not just about the technical challenges of a project like this, but the composition too, and how we can make images like this visually stellar for projection. Journees is the first of many." It's not just all art installations. Dylan sees projection design making its way into several aspects of our lives. Military companies and contractors can use the technology to demo new designs, people will want projection-based televisions in their homes, restaurants will use projections for ambience. And big companies will find a way to use projection technology as an advertising tool, as their gears shift from not just focusing on the product, but the experience, too. But what does this mean for design students now? How will they adapt to focusing more on experience design? According to Dylan, what's most important on a school level is mastering digital technology. Ultimately, what it comes down to, is understanding how to give people the exciting experience that they want. "We see a lot of rehashed ideas. When you see the same thing over and over again, to me that's not very innovative," says Dylan. "We would rather be a company that's bold, that is exploring new avenues." See more examples of projection design from visual artists/companies like Bart Kresa Design, Vello Virkhaus, Obscura Digital, and Leviathan. Then tell us: Is projection design the next big thing? Do you think it will complement – or even replace – the display technology we currently use? Let us know your thoughts in the comments. On Tour: What Went Wrong!